#helft uns helfen is an initiative of the Commissioner of the Bavarian Region „Donau-Ries“ together with www.donau-ries-aktuell.de and Fly & Help to promote education in developing countries by building new schools. 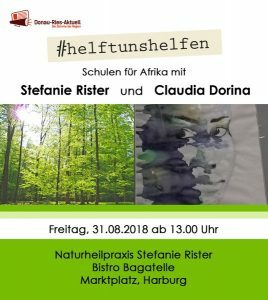 Claudia Dorina and Stefanie Rister, practitioner in alternative medicine, will contibute with a fundraising event in Harburg on August 31st. 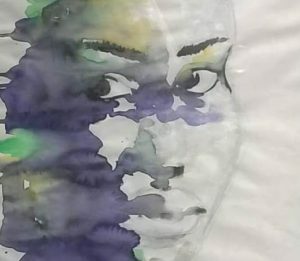 Claudia Dorina has donated one of her pictures that will be sold at auction in the Bagatelle in Harburg on August 31st, 2018.